After four stimulating days in the halls of Moscone West, I’m still processing everything from the hugely successful National Planning Conference held in San Francisco. NPC19 went off without a hitch and with a record-breaking attendance (6,400+) for an APA national planning conference. Our Local Host Committee leadership heard directly that the mobile workshops were amazing and the sessions insightful. I couldn’t be more pleased for our Northern Section to be praised for the achievements of NPC19, and I am honored to be your Section Director during this exciting time. Special thanks to Immediate Past Section Director Sharon Grewal, AICP, who coordinated the incredible and well attended APA California Chapter reception. I suspect that most of us who attended the conference will for weeks continue to reflect on and share what inspired them. I will too. Joel Albizo. 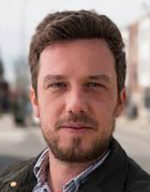 Photo: James Castañeda, AICP. 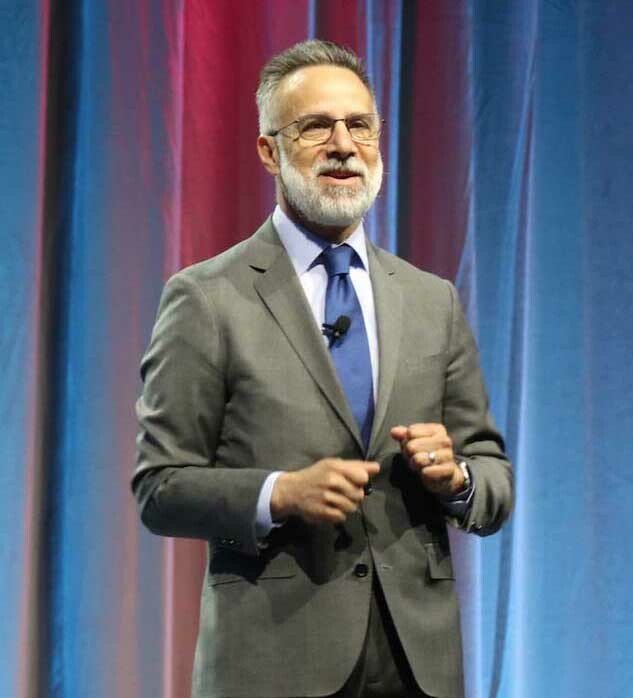 Before the opening keynote, we were introduced to APA’s new CEO, Joel Albizo, who observed that great communities are diverse, inclusive, and equitable, and noted that planners — as change agents in our communities — are “leaning in,” committing to support these characteristics. His remarks set the tone, not only for the conference, but also for the future of our profession. The vast undertaking of the conference is behind us, but I hope our section can continue the themes, energy, and momentum locally. Specifically, I want to share some of what we saw and learned with those of you who weren’t able to make it to NPC19 or to any of the excellent mobile workshops that highlighted the planning we do here. So I’ll be working with your local Regional Activities Coordinators (RACs) to see if we can replicate some workshops elsewhere in our region. I also want to keep in mind the themes from NPC19 that resonated with many and ensure we’re mindful of them in our program. To the APA national staff, our Local Host Committee leaders and volunteers, the mobile workshop coordinators and guides, our welcome table volunteers, and to every Northern Section member who attended the conference and served as an ambassador to the Bay Area, thank you sincerely, and congratulations on a superb NPC19! I look forward to working with you over the next two years to making our planning professionals the very best agents of desirable change within our communities. 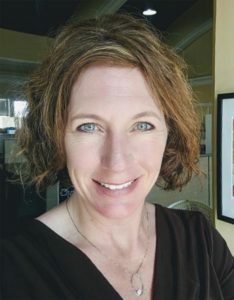 Kristi Bascom is Project Manager at Habitat for Humanity, East Bay/Silicon Valley, a position she took this January. How did you become interested in planning? As an undergraduate, I took classes in environmental studies that gave me my first exposure to land use planning. After graduating, I did advocacy for the Sierra Club. The intersection of protecting the environment and creating communities inspired me to return to school at SJSU to get a master’s degree in city planning. I worked for several Bay Area cities, primarily in current planning. I was principal planner at the City of Dublin. I also worked as a planning consultant and most recently as principal with M-group. Over the years, this work inspired me to think, how can we optimize good development? I dabbled in policy planning, but my interest is tangible results, creating neighborhoods and places for people. I was always interested in affordable housing, specifically in the gap between those who can already afford and those who can’t. How were you able to change from traditional city planning to non-profit? I asked industry professionals for some advice. What was the likelihood of a career planner pivoting to affordable housing, its own set of technical skills and background? I had no finance or construction background, was at mid-career, and felt in was a late shift. Then there are the salary differences between most organizations and nonprofits. Is the move feasible or smart? For me, doing something directly meaningful carried more weight. I relied on the advice of several key advisors who made the pivot sound possible. Any doubts now, after four months? The idea of switching gears was both exciting and terrifying. Right now, the job market for planners is great. I was comfortable knowing that I could likely move back to planning if needed. I may not have been so bold in a tighter job market. Can you comment on the idea of managing when you don’t love it? Most planners will come to a point where they need to decide whether to go into managing people and processes. You have to determine your strength and passion. If your interest isn’t in managing, you won’t be successful. Are you effective at motivating others and good at overseeing people? Managing for any other reason is not going to lead to success. I really enjoy being a mentor and offering guidance, but I don’t think that it necessarily translates to being a good supervisor. What are your core interests at Habitat for Humanity? I admire Habitat’s ownership approach to housing. There are a lot of affordable housing developers on the rental side, but building affordable ownership housing is a niche. I appreciate Habitat’s methods, incorporating volunteers and sweat equity. I work with people who are passionate and good at what they do, with whole families building not just their home, but also their future neighborhood. Essentially, I am the architect’s client, involved with multiple facets of the project. It’s a learning process that keeps me optimistic. The current discussion over local control has some saying that the housing crisis is isolated to specific counties in the Bay Area. Your thoughts? Is there a housing crisis or an affordability crisis? Some cities and developers are building plenty of market-rate housing. The sales prices target upper tier incomes. But are there units priced for Bay Area workers? No. Hardly anyone wants a project of a scale, architecture, and unit count that doesn’t match their community’s “identity.” I think all can see that it is more desirable to have local community input. Still, there is that reality of how much people must pay and can pay. Typical middle-income workers have to find housing and residents need to find jobs. What kind of housing at what cost would serve people, such as those on the earlier side of their career or those in administrative, service, retail, and restaurant occupations — jobs that support the larger community. It isn’t healthy for people to live too far from work or too many people to a unit, and it is not sustainable for the people or their communities. The issue is a concern throughout the Bay Area, not just in certain counties. Finding an affordable place to live is one thing, but getting ready to be a homeowner is another. Habitat has an entire department involved with family selection. We work with people to get them on a list for a Habitat home. We help them with credit counseling, developing a savings plan, and preparing to be a homeowner. Ownership speaks to me: people will put down roots and invest in their neighborhood for the long haul. From counterparts in other organizations, we hear that the below market rate housing wait lists are extremely long: 5,000 people waiting for 150 units. That is the real state of housing in California. I have been an APA mentor for three years. I am so impressed with our new young planners. Land use is very broad and complex. Unless you, as a young planner, know specifically your niche, find an organization where you will be exposed to a lot of different things. Don’t say you don’t like something until you have tried it and worked at it. Keep an open mind. Say yes to new projects and topics. What advice do you have for mid-career planners? You bring your experience from elsewhere to your current place. As a consultant, I valued working for a number of cities. I enjoyed going to and learning about different locales. I’m not telling people to jump around, but you definitely will benefit from working for different organizations and in different settings — and you’ll be more likely to come away well-rounded and able to appreciate different perspectives. There is a time to move on or try something new. Enthusiasm and a quest for knowledge are very important. This is about arrogance in the public sector workplace, what might be behind it, and how it tends to play out. If you are reading this, I am probably not writing about you being either an arrogant planner or a bureaucrat. I expect, however, that you will relate to this article, as the two types of “arrogant planner” I will describe are ubiquitous in the California public sector city-planning landscape. Keep in mind, I am only describing two types of high and mighty planner — and most of us are collegial, team players, and delightful in every way. Over the past 40 years of my planning career, most of which has been within city and county planning departments, I have encountered two types of arrogant planner. One appears to use arrogance as a defense mechanism, employing obnoxious behavior to keep fellow planners and other bureaucrats at bay. This planner tends to have a “hubristic arrogance,” or an overestimation of his or her competence. But on close examination, he turns out to be less than fully qualified for the position he holds and doesn’t want anyone to know about it. So he or she behaves abhorrently to repel people. The second type of arrogant planner is imperious because he or she is better qualified and more competent than most of the other planners around. This planner has what I call a “prideful arrogance” based on his or her superior abilities compared to the other planners with whom she works or engages. His holier than thou attitude bears results similar to the behavior of the first type: he tends to repel close, working relationships with other planners in the department. Regarding the first type of arrogant planner, I have found little to gain from their knowledge, or lack thereof, so I have tended to give them the space they seek and deserve. But it is the second type of arrogant planner I have found most intriguing, and will engage with, no matter how strongly repulsive or condescending. Why? Because the imperious planners, like them or not, have had something to teach me. I have garnered significant vocational benefits from them over the years. And then, of course, there are planners — arrogant or not — who may be difficult or repulsive for other reasons. Some may have had to attend several late night meetings in a row, or carry unreasonable workloads, or are going through adverse domestic situations. These planners may have barely slept for weeks while trying to solve major planning problems for the cities for which they work. It’s no surprise that they also tend to give you short shrift. So if you work with or around any of these planners — and there are quite a few these days — cut them some slack! For the past three years, Steve Matarazzo has been planning director at the UC MBEST Center at the former Fort Ord, California. Before that, he was with Michael Baker International, and served as Sand City community development director (14 years) and city manager (six years) before retiring in March 2014. 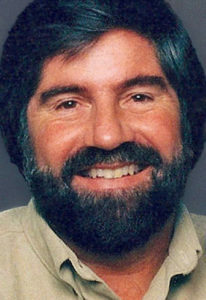 In earlier positions, Matarazzo worked for Santa Cruz County, Morgan Hill, and Woodside. 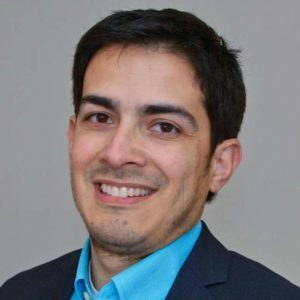 He holds a master’s degree in urban and regional planning from San Jose State University and a bachelor’s degree in environmental studies from UC Santa Barbara. Over the years, Matarazzo has written a number of op-eds for Northern News, most recently in March 2017. Do you know of a municipality or community group that desperately needs planning assistance to address a pressing problem but doesn’t have the resources to hire a planner or planning consultant? Or perhaps you know of a new or struggling planning function that could benefit from peer review and support? APA California can come to the rescue with its Community Planning Assistance Team (CPAT) program. Modeled after an APA National program of the same name, Cal Chapter’s CPAT provides pro bono (i.e., free) planning assistance to communities in need. CPAT pairs teams of expert planning professionals from throughout the State with local resident, business, and government stakeholders to address a specific planning issue. The team members engage the community representatives in a short but intensive planning process which might result in a vision for the community’s future, a strategy for achieving specific planning goals, a site plan for a developing area, an economic development strategy, or a collaborative planning process for resolving ongoing local planning problems. Recent projects have included an economic development plan for Hughson, CA (southeast of Modesto); a set of action priorities for a new downtown development coordinator in Oxnard; and a revitalization strategy for Downtown Kingsburg, CA (southeast of Fresno). A CPAT team recently assisted Kingsburg, a city of 12,000 in Fresno County. 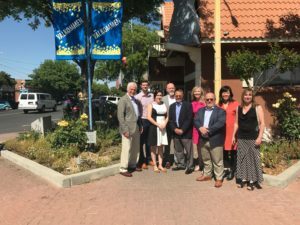 L-R, Stan Hoffman; Alexander Henderson, City Manager; Cynthia de la Torre; Michael Dozier; Robert Paternoster, CPAT Team Leader; Michelle Roman, Mayor; Tom Ford; Emily Morishita; and Jolene Polyack, Kingsburg’s Economic Development Advisor. 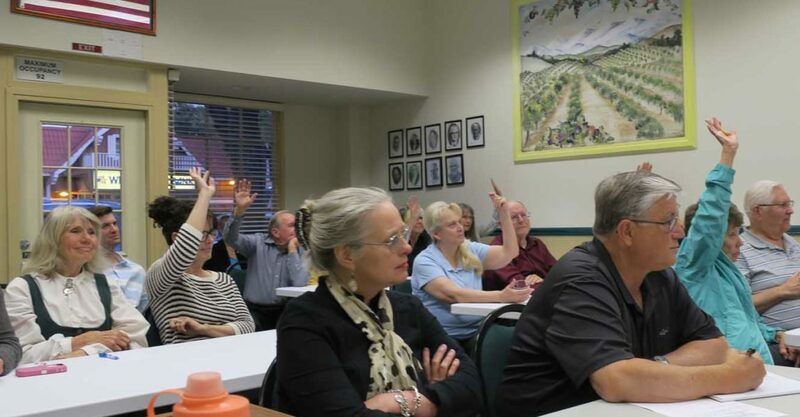 Here’s how to bring this free and helpful service to a town or community group that needs such assistance: Tell a local leader who might champion the project about CPAT, and put him or her in touch with the program administrator, Bob Paternoster (562) 400-3825 or robertpaternoster@yahoo.com. The program description can be found at http://bit.ly/2V5f5VM. There you will find links to complete the Community Planning Assistance Team Volunteer Form and to complete and file a Community Request for Assistance Form. You may want to help the community fill out and submit the Request for Assistance. The only cost to the community would be the transportation and room and board costs for the team, usually no more than a few thousand dollars. This is a great opportunity for communities throughout California. Please spread the word! Robert Paternoster, FAICP, is an independent planning professional in the Los Angeles area. 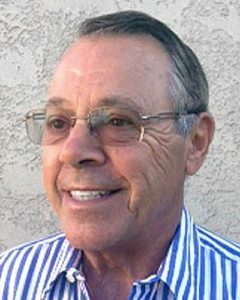 He served as Director of Planning and Building in Long Beach for 22 years and as Director of Community Development in Sunnyvale for six years. Bob holds a master of city planning from Harvard University and a BS in civil engineering from Lehigh University. 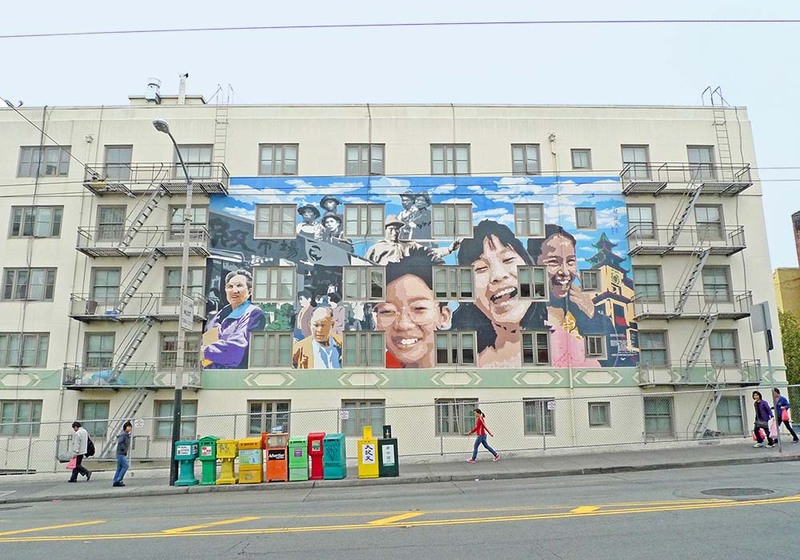 In the last half-decade, Karoleen Feng, the director of community real estate at Mission Economic Development Agency (MEDA) in San Francisco, has helped the group acquire and maintain hundreds of apartments for low- and moderate-income people in the Mission. The Small Sites Program has been an important component of that work, Feng says. 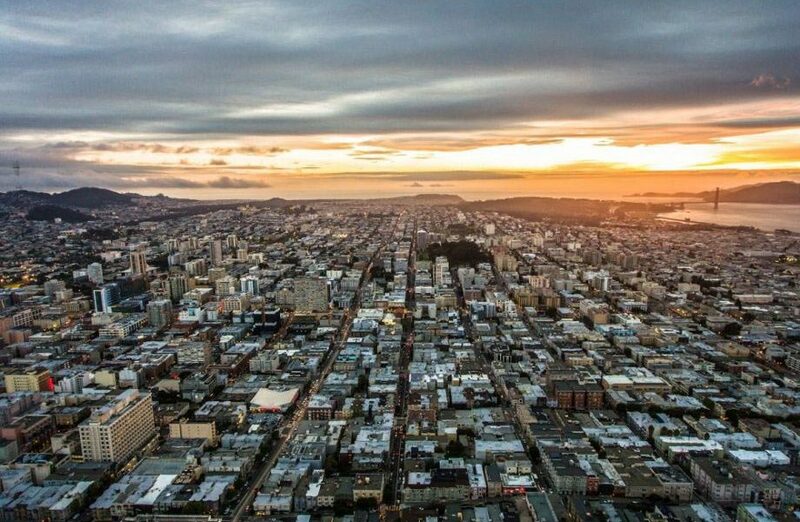 So has the San Francisco Housing Accelerator Fund, which helps finance affordable-housing deals. Seven of MEDA’s 22 building acquisitions in the last few years have been aided by the Accelerator Fund, Feng says. This article is part of Backyard, a newsletter exploring scalable solutions to make housing fairer, more affordable and more environmentally sustainable. This article was originally published in Next City on April 9, 2019. Republished with permission. Jared Brey is Next City’s housing correspondent. 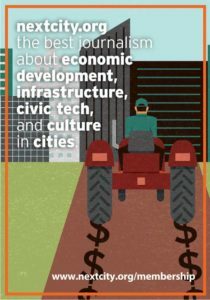 He is a former staff writer at Philadelphia magazine and PlanPhilly, and his work has appeared in Columbia Journalism Review, Landscape Architecture Magazine, U.S. News & World Report, Philadelphia Weekly, and other publications. “ ‘Matt Nichols, Oakland’s transportation director, gazed down at I-980, which runs between downtown Oakland and the historically black neighborhood of West Oakland. “Five lanes of traffic howled below at 70 miles per hour. 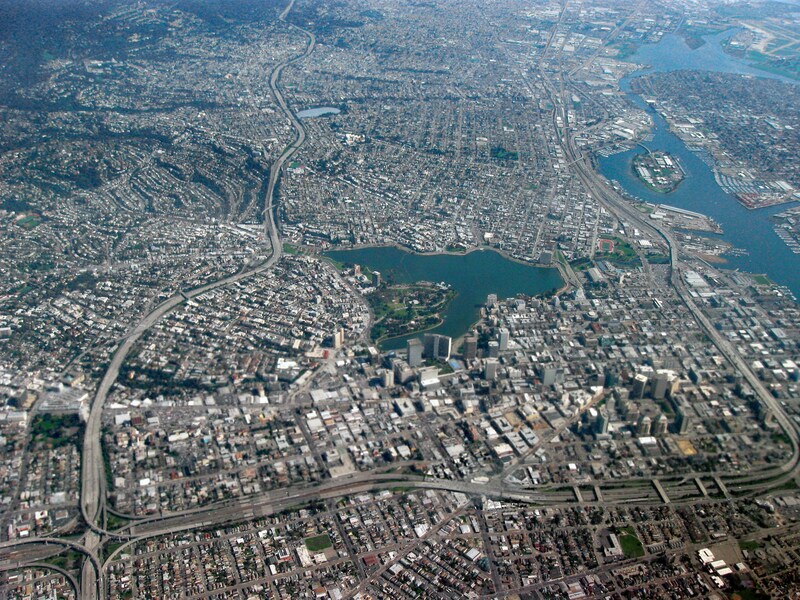 Throughout the 1970s, Nichols’ predecessors had argued that Oakland needed to build this freeway to thrive. But when Nichols looks at it, he sees desolation. “Oakland mayor Libby Schaaf thinks I-980 ‘remains a scar on our urban fabric. 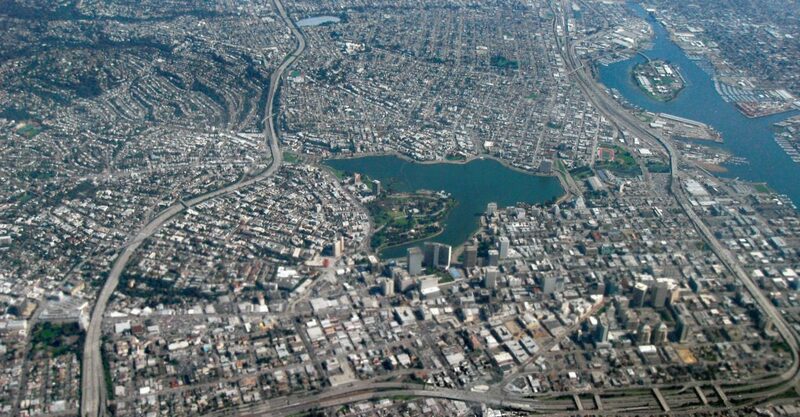 In its place we want livable infrastructure that creates local economic opportunity, reconnects neighborhoods, and connects the region.’ So the city government has made the freeway’s removal a part of its plan for a growing downtown Oakland. “Nichols, Oakland’s now-former transportation director (he retired earlier this year), told me [the freeway] was flawed from the start. First planned as a ‘racist moat-building exercise,’ then as a connection to a never-constructed bridge to San Francisco, and finally as a driveway to a shopping center that also was never built, it now carries less traffic than some of Oakland’s surface streets. To him, its existence seems ludicrous. ‘Why, why did anyone build that?’ he said. “What, realistically, will happen to I-980? ConnectOakland.org, a small organization dedicated to envisioning a neighborhood free of I-980, provided a vision. Mayor Schaaf provided the official sanction for ripping it out. Next, Oakland will need engineers to figure out what different options would cost, and facilitators to organize more conversations with residents about the best use of this land. Oakland’s city government won’t do that itself, Nichols said: The staff is stretched thin just trying to pave pothole-ridden streets. But he thinks MTC has the bandwidth to move the project forward. This is an excerpt. Read the full article here (3500 words). This affordable housing project (Ping Yuen) consists of three buildings with 234 units. It received upgrades to introduce solar panels and improvements to enhance water and energy efficiency while improving resident comfort. Sustainable Chinatown began in 2014 as a collaboration between the Chinatown Community Development Center (CCDC), San Francisco Planning Department, San Francisco Department of the Environment, and Enterprise Community Partners to create more affordable housing, improve access to public space, and provide services to residents and businesses — all while emphasizing environmental performance and long-term resilience in the face of threats such as gentrification and climate change. A proposed ‘Resilience Hub’ to help the neighborhood withstand climate change and other natural and man-made disasters. 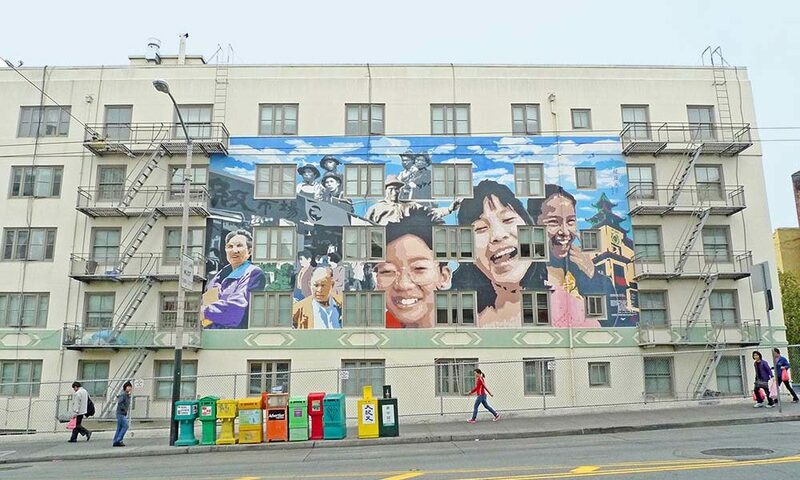 Once a landmark public housing project intended to serve Asian American families, by the late 1970s Ping Yuen (and its neighbor North Ping Yuen) had become a community struggling with underfunded management and repair, crime, and a disconnection to City services and support. Chinatown Community Development Center acquired these buildings through the City’s Rental Assistance Demonstration (RAD) program, and is rehabilitating them while also adding a much-needed community center for resident events and community activities. The National Planning Conference is always a great way to learn about innovative projects and best practices in planning from around the country, and this year’s event highlighted many Northern California successes. To keep the momentum of NPC19 going, APA California – Northern Section will hold a series of quarterly webinars showcasing Northern California’s best practices in planning throughout 2019. The webinars will highlight members’ projects, plans, policies, and innovations (and allow members to earn CM credits throughout the year without needing to travel). The Northern Section has made it easy to participate — and unlike NPC, you don’t need to assemble a panel of speakers or apply to be a speaker eight months in advance. We will hold webinars in May, August, and November, showcasing the great planning work happening in Northern California. The section will coordinate sessions based on similar topics, register the webinars for CM credit, and moderate the webinars. All you have to do is prepare a 15-minute presentation on a Northern California planning topic of your choice and we’ll take care of the rest. Interested in presenting your work? Just complete this form by April 30 to let us know what you’d like to present and to be considered for the webinar series. 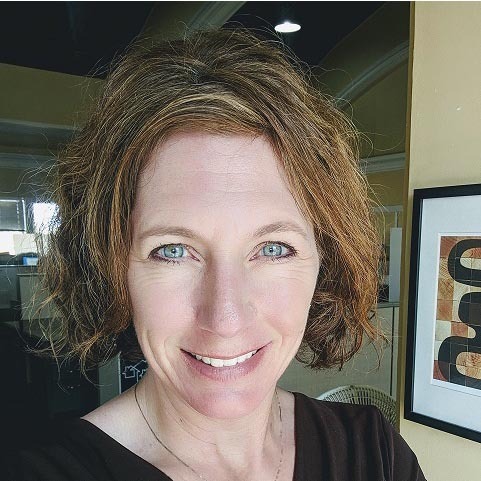 Contact Distance Education Coordinator Shannon Hake, AICP, with any questions.